Charged with administering, enforcing, and collecting taxes from millions of Americans, the Internal Revenue Service understandably makes mistakes. If the IRS is trying to charge you penalties or assess taxes incorrectly, or is attempting to seize your bank account or put a lien on your house, you have options for disputing the IRS action and arguing your case. If the IRS sends you a Notice of Deficiency and you do not believe you actually owe the tax, you should file a petition in the United States Tax Court. You have 90 days from the date of the notice to file your petition. If you miss this chance, you will only be able to argue your case in court AFTER paying the full amount and filing a refund claim. If the IRS convinces you that they are assessing the proper amount of tax, you can accept their determination and move on to other tax relief strategies, such as an Offer in Compromise. In the case of a disagreement arising out of an audit, you may be able to appeal the decision within the IRS before the Notice of Deficiency is sent. You can also request an immediate meeting with a supervisor if you have an in-person examination. Your tax litigation attorney may be able to negotiate a settlement with IRS Appeals, but you retain the option to go to Tax Court if an agreement can't be reached. There are simplified procedures for filing a protest requesting an appeals conference if the tax for any period is less than $25,000. IRS collection actions, such as a tax lien on your property or a wage garnishment, can be disputed. You may have defenses such as Innocent Spouse Relief that negate your responsibility for the tax. You can appeal collection actions using a Collection Due Process (CDP) hearing, which must be requested within 30 days of the IRS sending your CDP notice. You can also argue that you don't actually owe the tax due to an IRS mistake at this hearing, but only if you haven't received Notice of Deficiency or otherwise been given a chance to dispute the tax. Once again, you have the right to go to Tax Court if you don't agree with the decision from the CDP hearing. However, you generally won't be able to present new arguments at Tax Court if you didn't mention them during your CDP hearing. When the IRS makes an error, you must be vigilant about preserving your appeal rights and meeting the appropriate deadlines. 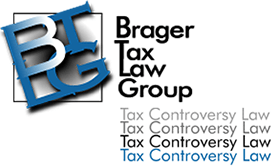 If you think an IRS mistake is costing you more penalties and back taxes than you actually owe, consult with our tax controversy attorneys.